on April 1, 2003 I opened my first Child Care Center and on April 4, 2014, I celebrated 11 years of being a Center Owner. This has been an amazing Journey; full of good times and many challenges. However, I know that it all has worked together for my good and has helped me to build a Successful Child Care Business. In fact, my Journey as a Center Owner inspired me to start a blog about the business of Child Care, because it is such a specialized business and there is so much to learn. Today I want to share with you 11 ways to build a Successful Child Care Business! After reading my success tips, you will find a video below of my 11 year balloon release. 1. Get a Mentor. Having a mentor provides you with the support that you need to succeed. 2. Read More. 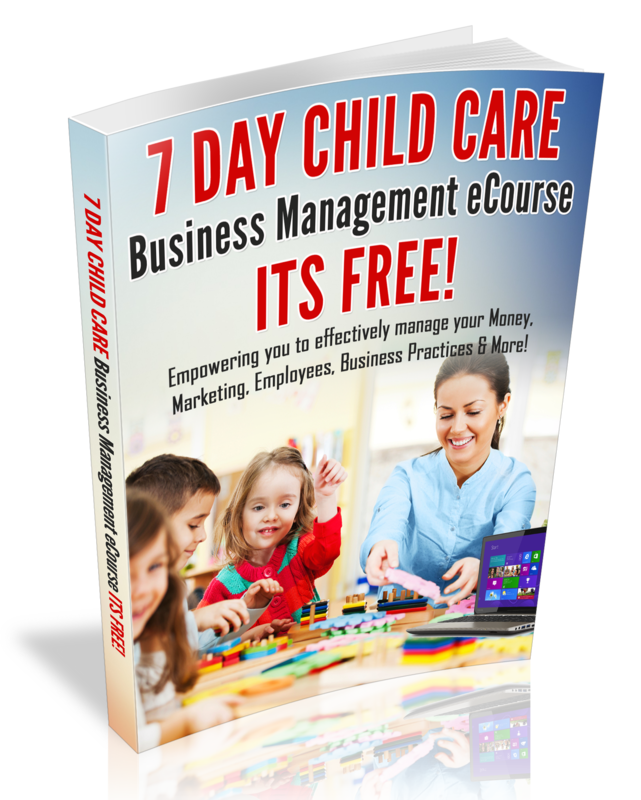 This is a sure way to increase your knowledge in the business of Childcare. 3. Discover the Art of Connecting With parents. I have discovered that when you have a healthy relationship with parents, they stay with you for a very long time. The average family stays with me for at least 5-7 years. 4. Connect with Business Owners who are seeking to improve their program. Some business owners are comfortable with always being on the same level, however, if you want to be successful or to build a program that parents love, you must continuously seek to improve your Child Care Business. 5. Hire staff members that fit your culture. My turnover has been very high because honestly, I have very high standards and I find that there is a circulation of teachers that only want a job. However, I want dedicated and committed early childhood professionals on my team that are willing to do what it takes to provide quality care. Furthermore, I have found that my best employees have stayed with me for an average of (4-7 years) and I am so grateful for their service. 6. Be willing to do whatever it takes. Most of the time, I am fully staffed and I able to work part-time at my center, however, if a teacher has an emergency or if we are short-staffed, I will cook,drive the van or even teach. As a former family home child care provider, I have learned how to wear many hats and it has empowered me to be a successful center owner. 7. Develop the Leader Within You. I learned this principle the hard way! Leadership is all about personal development and on my Journey as a Center Owner, I discovered that leadership is a vital part of your business success. To develop the leader within, be sure to follow one of my mentors and the Leadership Guru, John Maxwell’s Blog. 10. Develop a Healthy Living Plan. On my journey as a Child Care Business Owner, I have had my share of health problems ranging from; weight gain, to high blood pressure, to high cholesterol, back problems to anxiety. I know that sounds horrible, however, as I discovered the importance of relaxing, eating healthy and learning how to let go of what frustrates me, I am a healthier woman today! Check out my 21-days to a Healthier You eCourse, click here. 11. Choose To Build a Quality Program! Parents want quality child care and their kids to be in a safe environment. Don’t focus too much on buying expensive toys and equipment, however, Focus on quality care. Be sure to watch my 11 year balloon release video below. Watch the video now—>Post by Learning Days. Celebrate My 11th Anniversary With Me!! !Grab my Marketing 101 Kit or Business Makeover Kit for only $11 each for a Limited Time Only! !